Every week there seems to be a different skin care product launched with offers so many benefits that I don’t know where to even begin. Traditionally I have been lucky enough to have a minimal amount of skin problems. This was the case until recently that is. Over the last few months my skin has been changing and unfortunately not for the better. I have been getting oily patches (which I never had before) and I have having a few angry break outs. My general skin care routine has always involved cleansing by means of a good facial wash and moisturise. The occasional exfoliate and mask and I have always been a lover of professional facial when I could afford it. ....thankfully my boyfriend has found my favourite beauticians and is partial to gifting me a voucher now and again. Anyway, as a result of my recent skin issues I decided to up my game and get serious about skin care. I chose two skin care routines to try, one being regarded commonly as a gentle yet effective range of products and the second a little more proactive on the whole, dare I say it, anti aging front! I would like to use this blog post to share my experience of these two product ranges. 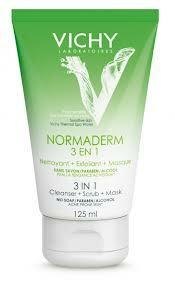 This is a clear cleansing solution suitable for all skin types and age ranges. It is said to remove make up and impurities and leave the skin feeling fresh and clean. Removal of impurities which lead to break outs and eliminates excess oil yes please! I use this lotion after I wash my face to remove any thing that may be left over after a good wash and to act as a light toner. I like it. It is refreshing and does leave skin feeling extra clean. I don’t know how effective it would be if used on its own as I do like a really good cleanses but for my purpose I really like it. I use this handy pump bottle in the shower to wash my face. It is really gentle and does cleanse really well. 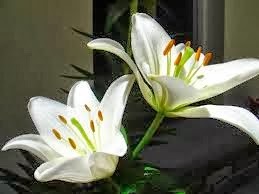 It is fragrance free and clear in colour. This gel is for men and women with shine-prone skin. Eliminates impurities and sebum excess and unclogs pores. I do like it. 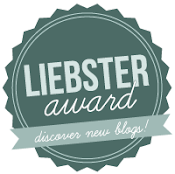 I have named this little gem as one of my favourites in a monthly favourites post recently. It is a deep cleaning product that can be used in 3 ways, as a deep cleaning exfoliant, a mask or a general cleansing wash. The combination of Salicylic acid, Glycolic acid and Clay with a soothing agent. Salicylic acid works to remove impurities and excess sebum, Glycolic acid smoothes and evens the skin, while the Clay mortifies the skin for a clear complexion. I have used mine all up now so I do think I will be repurchasing it very soon. This product is used as a spot treatment. It is said to reduce sudden local breakouts and soothe discomforts. Of all the products I purchased this is my least favourite and if I am being really honest I do not find it very effective. You apply a small amount on to the affected area. I found the consistency of the product made it hard to use. It sits on the skin and does not seem to melt or soak in at all. It is also blue in colour so as you can imagine its messy when it falls off your face and onto your clothes! So not one for me! Feeling that my skin was dehydrated and probably a little clogged I decided on this moisturising cream. It is suited to any one with sensitive, dehydrated, normal to combination skin who wants long-lasting soothing and fortifying hydration for their skin. 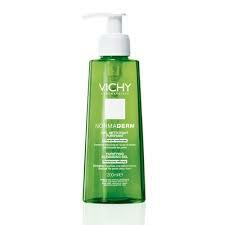 I like this product it is light and soaks in to your skin so quickly leaving your skin so soft and smooth. I am about half way through this pot and I use every morning and maybe every 3rd night at the moment. If you like light and gentle this is the one for you. The second skin care range I have been using is by Elemis. Tri Enzyme Resurfacing by Elemis has been raved about on so many fronts so I was eager to give it a go. As much as I genuinely hate to admit it time it is a ticking and as I have always been told prevention is better than cure so this range of products really interested me. I bought the starter kit to give it a try. In addition to the products below a really handy face flannel mitt comes with this set great for removing the wash or the mask. This is the first product in the pack, a facial wash. I am loving this wash. 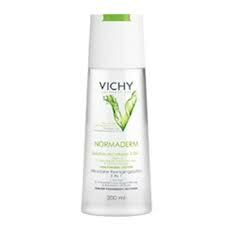 I stopped using the above mentioned Vichy products to try this out. In one week my skin genuinely improved. This wash gives your face a really great cleanse and as the name suggests the enzymes present in the wash clears the skin and my skin did appear brighter, fresher and over all improved. As I only got a small bottle of cleanser I will defiantly repurchase it. You do only need a small amount so a little goes a long way. This mask is in a gel form and is really lightweight. Again you only need a little and a little amount has great coverage. You are advised to put this mask on 2 to 3 times a week for the first week. I used it 3 times. It is very potent and you can feel it reacting with your skin the minute you put it on due to the slight tingle you feel on your skin. The result of use was simple – my skin was soft, clear and revitalised. I claim to be no science buff but those little enzymes do their job well. I love this mask and will continue to use it. This night cream is seriously expensive in full size so it was no surprise that in my starter pack I received only a small version. Like the rest of the range a little goes a long way. This cream is thick in consistency and has an extremely luxurious feel to it on the skin. This nightly treatment stimulates the skin's natural cell renewal cycle, actively smoothing and leaving your skin feeling so lovely in the morning. 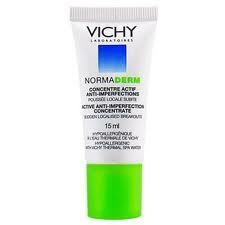 I use this cream at night and the Vichy light moisturiser in the morning as I do not want to overload my skin. I would love to repurchase this cream but it is extremely expensive so maybe I will repurchase the whole set instead. Overall I am really impressed by this range of products from Elemis. I feel the products have genuinely improved my skin and is continuing to do so. It is rich and potent meaning you only need a small amount of each product. The only negative aspect of this range is the price of the products. The range is expensive for full size individual items but if you really want to try the range I would highly recommend the starter kit I have used. So these are my skin care products in use at the moment. With a little luck my skin will continue improve. 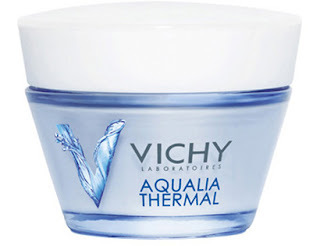 As I hope I have shown the Vichy range is gentle and great for everyday use but I have to admit the little “chemical” or “enzyme” element of the Elemis range really does it for me. I am always on the luck out for new cleansing or skin care products that are effective and helpful for my skin. Do you have any recommendations? I would love to hear them so please leave a comment below.